This month we have launched the brand new website for Burntwood Town Council website. 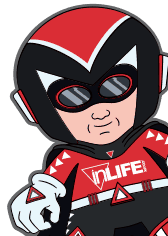 Here at inLife we have worked closely with the local council to create a website that will be the single hub for all business, services and what’s going on in our local area. 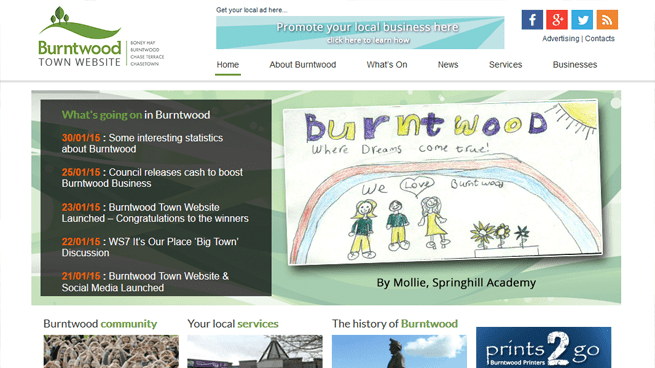 The website can be seen at: www.burntwoodtown.uk. The Burntwood Town website also have engaged with social media and have platforms on Facebook and Twitter, check those out for local updates on the latest happenings in Burntwood. We are really pleased with the website, it’s great for local businesses with the handy directory featured on the site. It’s a great resource for everything you need to know. We would also like to say Well Done to all the children at the local primary schools that were asked to design banners for the homepage and to the four winners that are featured – our job was difficult to choose the winners.